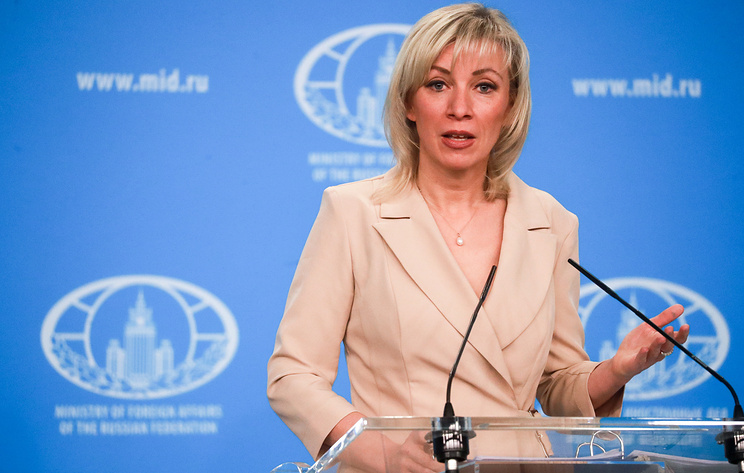 Russian Foreign Ministry's official spokeswoman Maria Zakharova said that "supporting instigators in a foreign country is one thing, but welcoming them on your own territory is quite another matter"
MOSCOW, January 11. /TASS/. Western sponsors of the White Helmets organization are in no hurry to provide its members operating in Jordan with shelter in Europe, Russian Foreign Ministry's official spokeswoman Maria Zakharova told a briefing on Friday. "Clearly, the West is not ready to welcome those who were involved in serious crimes," she said, noting that in the summer of 2018, White Helmets members had been evacuated from southern Syria, and their sponsors "promised to give them shelter in European countries… but the matter has not been resolved so far." "According to available information, a group of White Helmets activists remains in Jordan. They are actively participating in provocations staged in Syria, and they also cooperated with terrorists," the Russian diplomat noted. "Supporting instigators in a foreign country is one thing, but welcoming them on your own territory is quite another matter, as it creates threats for your citizens," Zakharova said. "It is also possible that once out of the Middle East, some White Helmets members would be ready to tell the truth about their activities in Syria. Their sponsors are definitely not interested in that," Zakharova concluded. The Syria Civil Defense organization, also known as the White Helmets, was created in 2014. Its members post photos and videos on the Internet, telling about the damage and casualties allegedly caused by the Syrian government forces and their allies. However, the organization was accused on numerous occasions of staging videos. Russia considers the White Helmets to be part of an information campaign against the Syrian authorities. The Russian Foreign Ministry said in January 2018 that the White Helmets had long been cooperating with terrorist groups and had discredited themselves by staging provocations and spreading blatant lies. On July 22, 2018, Israeli Foreign Ministry Spokesman Emmanuel Nahshon said that Israel had evacuated White Helmets members and their families from Syria at the request of the US, Canada and some European countries. Israel’s Galei Tzahal radio station said that 800 people had been taken to Jordan from southern Syria, where government forces carried out an operation against opposition units. Damascus believes that the White Helmets are linked to the Jabhat al-Nusra terror organization (outlawed in Russia).